The Crazy Bookworm: Last chance to enter Halloween Giveaways! Last chance to enter Halloween Giveaways! 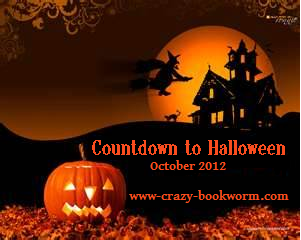 Sadly, The Crazy Bookworm's Countdown to Halloween is coming to an end for 2012. There will, of course be a Recap post but I just wanted to post a friendly reminder that all giveaways close at 11:59(eastern) tonight. Today is your LAST CHANCE to enter any of the giveaways that are going on. Check out the right side bar >> for a full list and links to each giveaway. Author Spotlight: Kat Rosenfield + Giveaway!